The Service Manager is responsible of managing the Security Mechanisms (SMs) and Security Capabilities (SCs) by using a persistent data storage that is CRUD enabled. 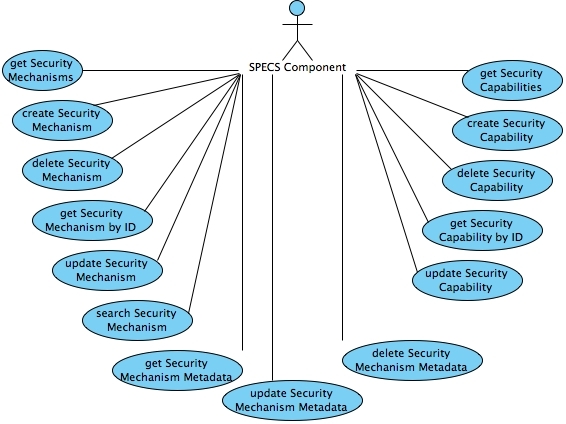 The main design requirement imposed the possibility to query the Security Mechanisms and Security Capabilities database in order to obtain Mechanisms that are able to enforce or monitor specific metrics and satisfy specific capabilities. 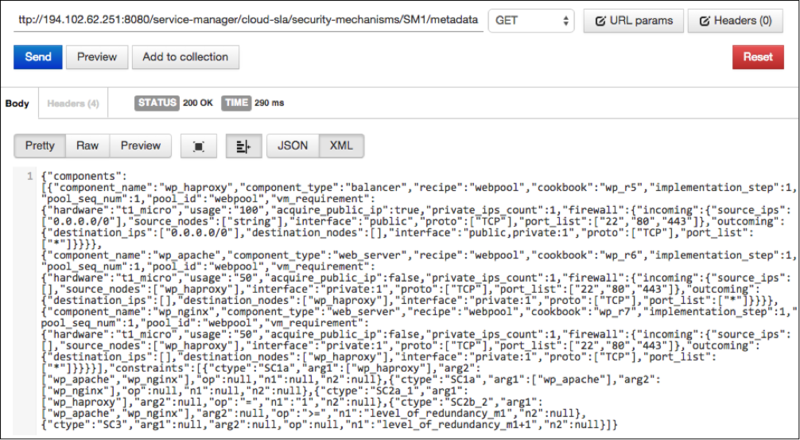 Moreover, the component should allow the End User (EU) to get the associated metadata of each Security Mechanism. In order to compile and install the Services Manager it is mandatory first to process the backend and afterwards the frontend.